South America is one of those vacation destinations that has captivated travelers around the globe for decades with it breathe-taking natural beauty and cultural wonders. There are so many vacation destinations that you could go on; there simply is no way to fit all of them into one article. Here is a quick guide from an NH Travel Agent give you the basics on where to travel for your next South American vacation destination. Peru is one of the most classic of all vacation destinations with its indigenous villages, a colonial town and ancient ruins buried deep in the Peruvian mountains of the Andes. High in the Andes mountains, you will find Cuzco one of the oldest inhabited cities on the massive continent and nearby is Machu Picchu, which is great for exploring archaeological treasures galore. Across the water is Bolivia, which is home to fantastic indigenous villages and biologically rich, luscious forests near soaring mountains. One of the unique and yet bizarre spots in Bolivia is the salt flats of Salar De Uyuni. This is a place worth checking out for a unique adventure. Ecuador has plenty for the adventurous person that wants to pack a lot in their itinerary. This destination has beautiful colonial towns like Quito and Cuenca that are some of the best places in the world to study Spanish. Nearby you have the famed Andean mountains that are great for the adventurous that like to hike, mountain bike or horseback ride. Don’t forget the snow covered volcanoes here like Cotopaxi. Did you know that Brazil is larger than the continental United States? 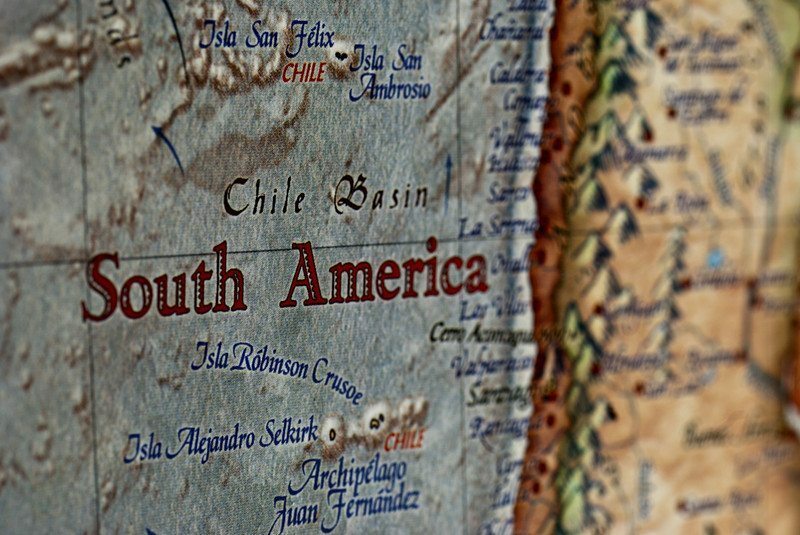 This giant of South America is also Latin Americas priciest country, so if you travel here plan accordingly. This country has some of the most iconic destinations in the world like Rio De Janeiro, Ilha Grande, Salvador, Iguazu Falls and on the Argentinean border you have Belem, which is one of the gateways to the Amazon. Yes, this is one of the destinations that for years was not safe to travel to, but Columbia is now open for travel and is safer than it has been in decades. Bogota is the capital and sits high in the mountains of Columbia. It is rich with nightclubs, charming cafes and many beautiful sights nearby like the underground salt cathedral 50km north of Columbia. There are many pristine beaches nearby like Parque Nacional Tayrona and for the adventurous you can trek to the lost city of Ciudad Perdida. Of course, when you are traveling to anywhere outside of the United States plan accordingly and make sure you have travel insurance. Have seen your doctor? Get up to date on shots and make sure your passport is up to date with the government. Happy traveling!